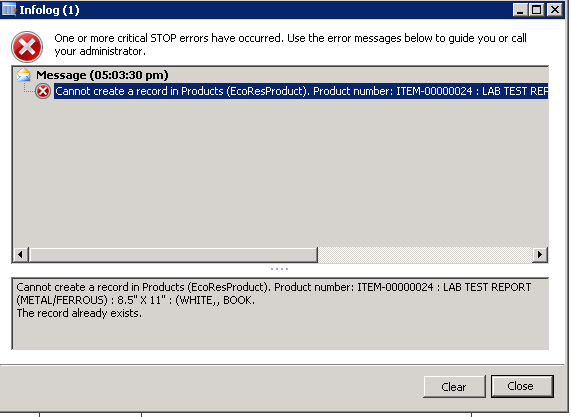 We are facing an error at creation of product variant "Cannot create a record in products(EcoResProduct). The Record already exist". Mughal Iron & Steel Industries Ltd. The product number is 70 maximum in size. Is that configuration or its name? Same question applies for other dimensions. Yes Exactly when we realize that product number EDT is max 70, and until 70 characters Config-size-color) will not repeat that's why error was occurring.